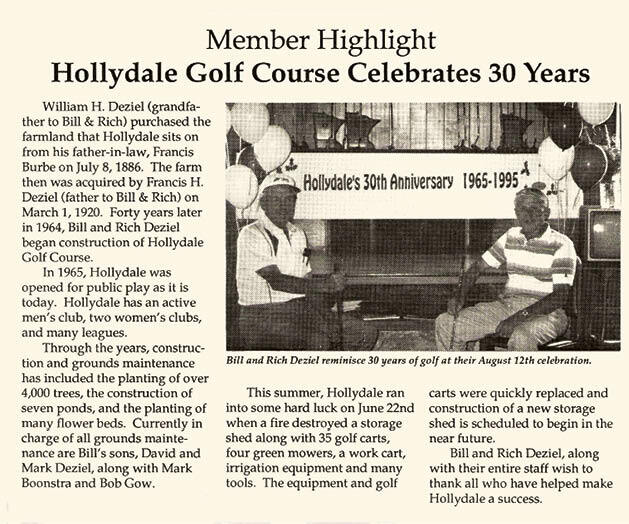 Plymouth’s family-owned and -operated Hollydale Golf Course celebrates an historic anniversary. Rick Deziel and grandson Tanner. The year was 1964, and Plymouth carpenter Rich Deziel was considering selling the farmland he grew up on near Holly Lane. He gave it a second thought, though, pondering that it might be neat to have a golf course in the city of Plymouth. So he and his brother Bill transformed the land into Hollydale Golf Course, which debuted 50 years ago in 1965. “It’s our grandpa’s legacy,” says Jora Deziel Bart, Rich’s granddaughter. Named for its Holly Lane address and a rolling hill-and-dale landscape, Hollydale started as a nine-hole course. The success was so great, nine more were added and later a driving range. In 1974, the family bought land in Corcoran to launch Shamrock Golf Course. Shamrock became the bailiwick of Rich’s son, Rick. For 33 years, Rick and his wife, Lynette, along with their children, ran the course; 12 years ago they returned to Hollydale, and Bill’s family now manages Shamrock. “Dad just fell in love with the course,” Bart says. That simple love of being outdoors and maintaining the greenscape lit Rick’s fire for the course, and he passed that passion on to his own son, Ryan. Now it’s Ryan in the head greens superintendent position. 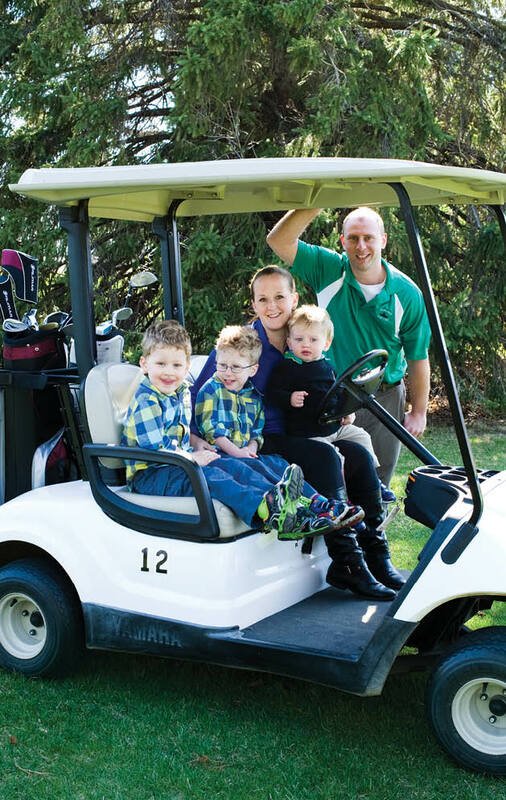 His wife, Lisa, works at the course, as does Jora and her husband, Adam, and their sisters and husbands, Malia and Robbie Kazsubowski and Sheena and Kevin Swanson. And of course, Lynette is a fixture at the course, along with the grandkids: Cade, Cameron, Barrett, Tanner, Reid and Lennon. 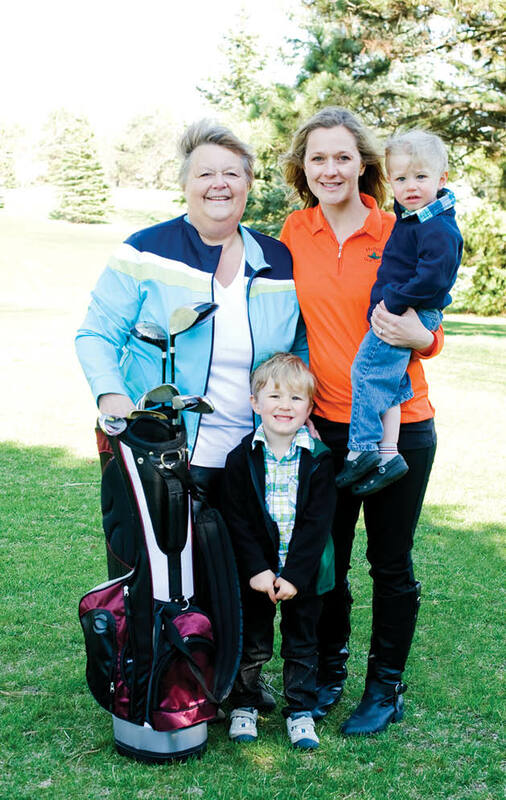 Bart picked up her first golf club when she was 3 years old, and now it’s her nephews who are discovering their love of the game and course. “They’re out there swinging clubs and love to be a part of the course; it’s already part of their fiber,” she says. The many kids they hire for summer work become a part of the Deziel clan, too. “Everyone becomes like family,” Bart says. That includes the course rangers, who patrol the course throughout the day, clean carts, keep the course neat and interact with the golfers. “The course is always in good shape; it’s managed well,” says Pat Porte, Hollydale’s part-time golf professional and instructor. “It’s fun to play.” Porte, who has been at Hollydale since 2004, was quick to credit Ryan for the immaculate upkeep of the greens and the rest of the family with the great customer service. Business has grown along with those greens. Gone are the days when the course owned just two lawn mowers for greens upkeep. As the trees sprouted up and golf’s popularity took off, so did the course. “The industry has changed so much over the years, it’s amazing,” Rick says. Hollydale now operates 10 mowers to handle fairways, the greens and tee. The maintenance and grounds crew have seven members; the clubhouse, 12. The Deziels aren’t the only ones who have grown with Hollydale and the sport. The city of Plymouth has taken leaps and bounds in size and development since the course was built. “I used to think this was the boondocks,” Rick says of Hollydale’s place on the map. “It was corn, bean and alfalfa fields.” Hollydale maintains that sense of country, while houses and the city expand around it. “It’s a pocket of wilderness in Plymouth, it’s country,” Bart says. Still, business hasn’t always been a hole in one. Economic downturn took its toll on golf courses, too. 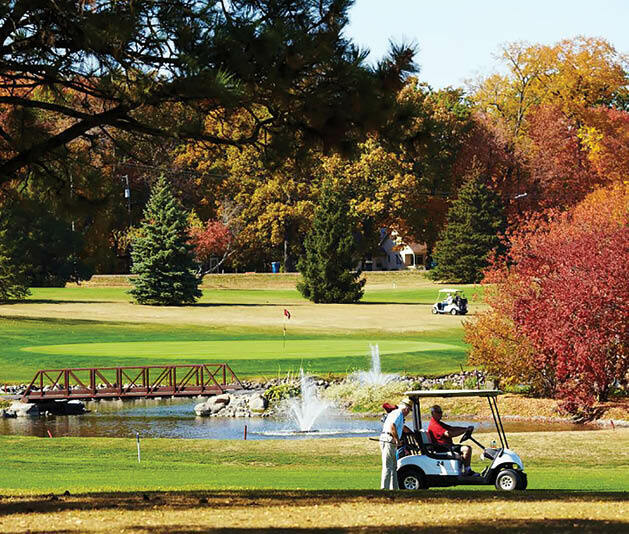 Plymouth used to be home to courses such as Hampton Hills and Elm Creek before the economy took the best of them, along with a number of courses throughout the state and country. Bart explains that in the 1990s, the gold industry was booming, and the course was “crazy busy”; then recession hit. “When the economy is down, we’re down, but we maintained as much as we could,” Rick says, stating that there were times when he wasn’t sure how they would make it. But clearly they have successfully persevered. “[Golf is] more of a family activity than it used to be,” he says. Rich was 92 when he passed away in 2011, leaving a void not likely to be filled at the course. According to Bart, her grandpa visited the course every single day. 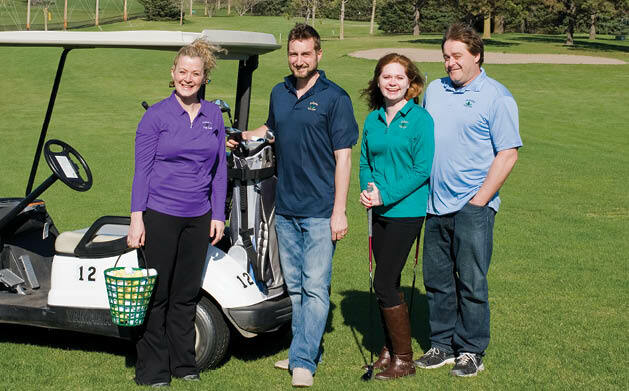 Rich always wanted to make sure his golfers were having a good time and instilled that customer commitment mentioned by Porte and Briggs, into his family. “We want [our customers] to have an awesome experience,” Bart says.